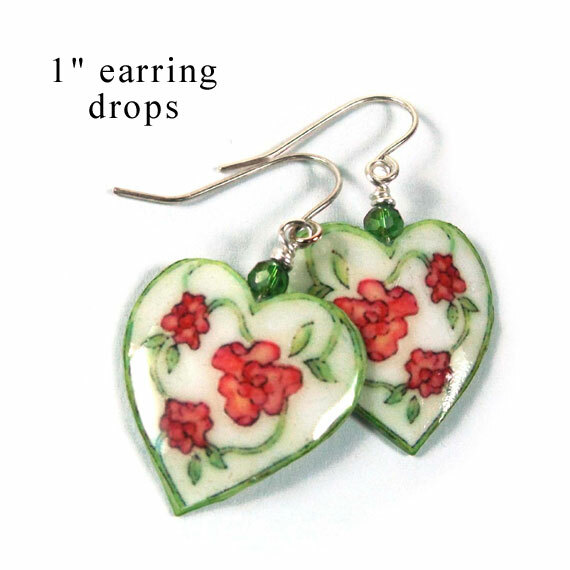 These lacquered paper earrings are white hearts with a pretty floral design - they're a wonderful paper anniversary gift for her! The hearts are approximately 1" long and the earwires are sterling silver. Of course these can be made in custom colors - just ask!